50-80% off designer fashions, everyday! Join the Dots Email Club! Every week, we sit down and work out the exclusive deals that are better than anything in store, in the papers or on the radio and we send them to you, directly to your inbox! 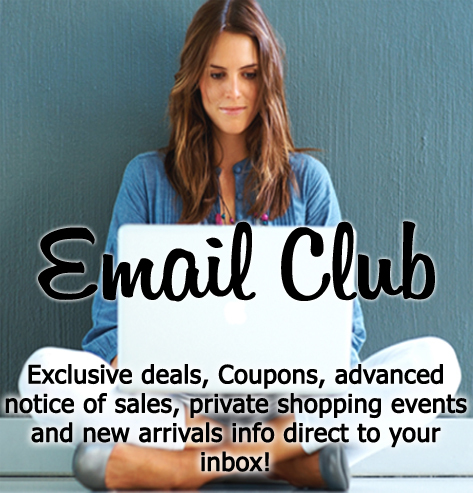 Get advance notice of sales, exclusive coupons, storewide discount codes, invites to events, info on new arrivals and email list only promotions that are all exclusive to our email list subscribers.